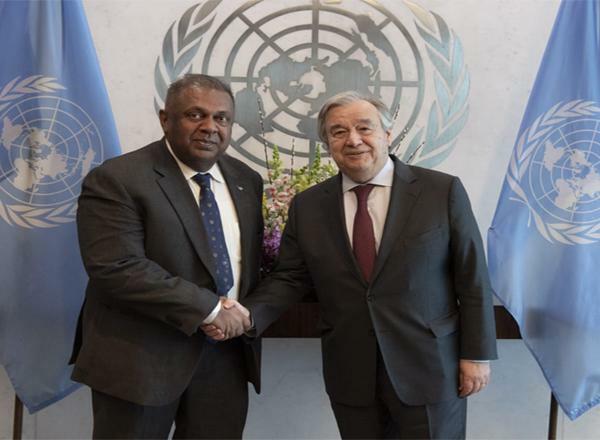 (COLOMBO, LANKAPUVATH) – Two war ships of Australian Navy, which arrived in Sri Lanka on 11th March to search for a Australian destroyer sunk by enemy during the second World War in the seas around Batticaloa, have sailed to Trincomalee harbor on Sunday. 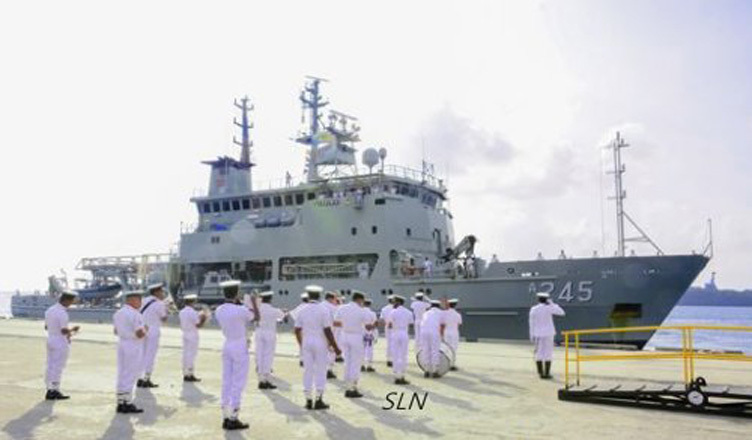 Sri Lanka Navy welcomed the Australian hydrographic ship HMAS Leeuwin and mine hunter HMAS Diamantina in compliance with naval traditions on their arrival at the port. The Commanding Officers of the ships Commander RP Motimor and Lieutenant Commander D. Mackdevitt called on Commander Eastern Naval Area, Rear Admiral Sumith Weerasinghe and held discussions on the matters of mutual interest. The two Australian Navy ships have arrived on March 11 to conduct a thorough search of the sunken ship destroyer HMAS Vampire, which sank after enduring an intensive Japanese air attack off the Sri Lankan coast on 9 April 1942. During their stay in the island the crew members of ships are expected to take part in a number of programs including friendly sports activities organized by Sri Lanka Navy. 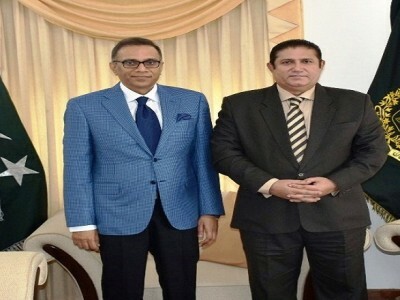 On completion of their task, the ships are scheduled to set sail from Sri Lanka on 20th of this month.